UBS Wealth Management Americas (WMA) and tech company SigFig has formed a “strategic alliance” to develop digital technology for UBS WMA, its financial advisors and their clients. San Francisco-based SigFig specialises in wealth management software. It will create and customise digital tools and services for UBS WMA’s 7,000 advisors. 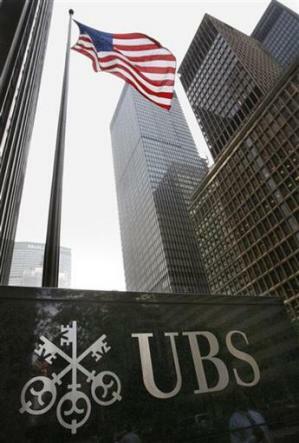 UBS WMA’s remit is domestic US and Canadian wealth management businesses, plus international business booked in the US. It says the new digital platform will enable its advisors “to efficiently provide advice on assets held at UBS and other institutions, a critical factor in providing truly personalised financial advice”. UBS WMA has also made an equity investment in SigFig, “underscoring its long-term confidence in SigFig’s platform, innovative technological capabilities, and management”. In addition, the two companies will set up a joint Advisor Technology Research and Innovation Lab – which is envisioned as “a forum” where the specialists from both sides can exchange ideas and develop new capabilities. “It is vital for our industry to innovate and provide advisors with advanced technology that enables service, advice and access aligned with how clients live their lives today,” states Tom Naratil, president of UBS Americas. Mike Sha, CEO of SigFig, comments that “it is an honour to have been selected by a company with the reach and stature of UBS WMA”. SigFig says its flagship product – Enterprise Digital Wealth Platform – “helps millions of people around the world track and optimise over $400 billion in assets”. The company was founded in 2007. It is backed by a number of venture capital firms, including Bain Capital Ventures, Union Square Ventures, DCM, and Nyca Partners. UPDATE on 24th May 2016: Santander InnoVentures, the fintech venture capital fund of Santander Group, has also announced its investment in SigFig. A total of 45 banks including Barclays, Citi, Deutsche Bank and many others have signed up to a new payments innovation initiative headed by Swift, which is due to launch early next year. Announced in December, the initiative aims to dramatically improve the customer experience in correspondent banking by increasing the speed, transparency and predictability of cross-border payments. UBS is selling its risk and performance analytics service, UBS Delta, to StatPro Group, a provider of cloud-based portfolio analysis and asset pricing services for the global asset management industry. Social media may be a dirty word to most banks’ CFOs. But when 28 hours of a 40-hour week are lost to emails and searching for information, there has to be a better way, according to Tony Zingale, chief executive at Jive Software, which has just launched in Europe. Series E funding round led by growth equity firm General Atlantic. Distributed ledger technology (DLT) consortium R3, together with five of its members and financial resource management specialist HQLAX have built a collateral lending solution for liquidity transfers. The solution is based on R3’s flagship platform, Corda, and is “an operating model for a digital collateral receipt (DCR) lending marketplace”.